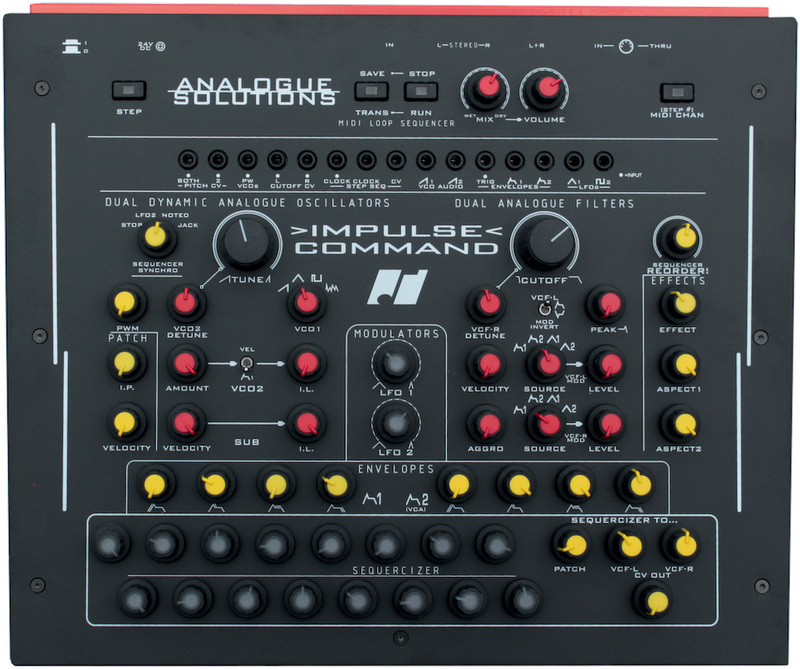 Analogue Solutions has announced the release of Impulse Command, a true stereo analogue synth / sonic realiser. Perfect for melodic and percussion loops. Analogue Solutions say "It's wrong to call it a synthesizer (in fact a new word needs to be invented) because then you get preconceived ideas about what it does. It's a whole lot more than a synth. It's also part drum synth, part pattern generator, part modular loop producer." 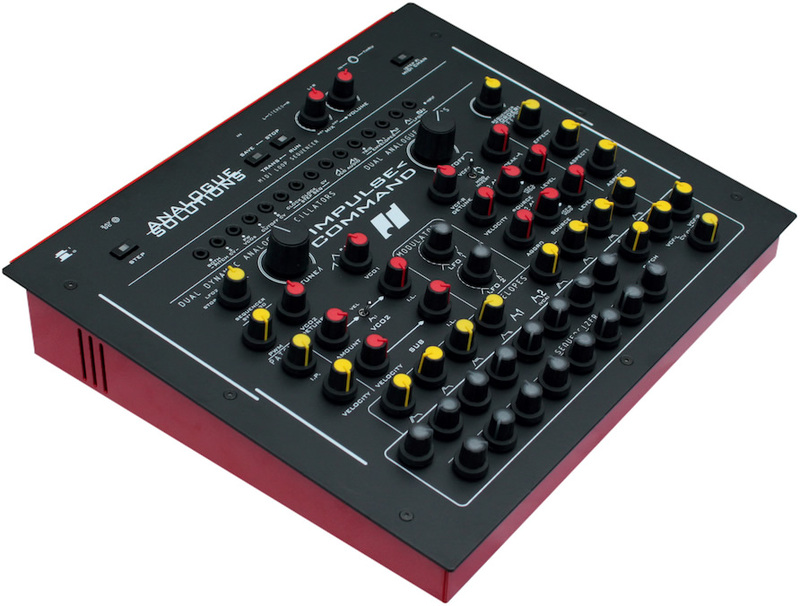 Analogue synth: analogue audio and modulation circuits. ReOrder. feature to create new melodies from the sequencer. Impulse Command is a compact true analogue synth in a neat, smart, package. When they say 'real analogue' they mean that the entire audio path (aside from the post effects of course) and all modulation are entirely analogue, using circuits based on vintage 1970s designs. Their circuits are not locked down by CPUs. Controls are not quantised and read by CPUs. With the exception of the essential digital elements (that is MIDI conversion, sequencer control and digital delay/reverb), Impulse Command really is analogue. The synth has been designed by Tom Carpenter, a musician and a big fan of electronic music. It was not designed by an engineer or steered by committee or men in suits. Design wasn't constrained in order to bring maximum profit to share holders. So, the modulation choices and range of sounds they produced have all been carefully thought out and quickly give you those sounds you want: huge bass, synth leads, percussion, effects, modular style sounds. 16 Step analogue CV sequencer. Stereo output / dual filter+VCA. Special internal dynamic patch system. 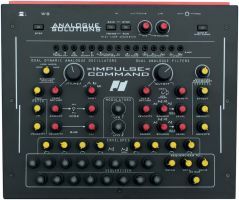 Impulse Command is now available for purchase priced at an RRP of £849.00 GBP (ex. VAT) / €1,179.00 EUR (inc. tax) / $1,199.00 USD (inc. tax) through Analogue Solutions' global network of authorised dealers or order online directly from Analogue Solutions via the dedicated Impulse Command webpage, which also includes more in-depth information.